Mug cakes are always my favourite as they get ready in just 2 minutes. Red Velvet Mug Cake is also one of the easiest & quick but Super moist and delicious. 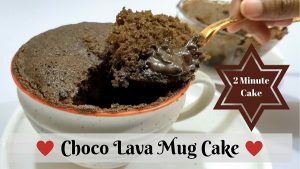 Since I shared Red Velvet Cupcake recipe for Valentine’s Day, I got many requests to share this Mug Cake recipe. I’ve made this without adding egg, making it an Eggless mug cake recipe. It takes just 90 minutes in the microwave. Garnish with powder Sugar or Cream Cheese and enjoy the delicious & instant mug cake. Mix well and add all liquid ingredients – melted Butter, Buttermilk and Vanilla Essence. Mix well to prepare the batter. After mixing Dry & Liquid ingredients, add 2 – 3 drops of Red Food Color, mix well. 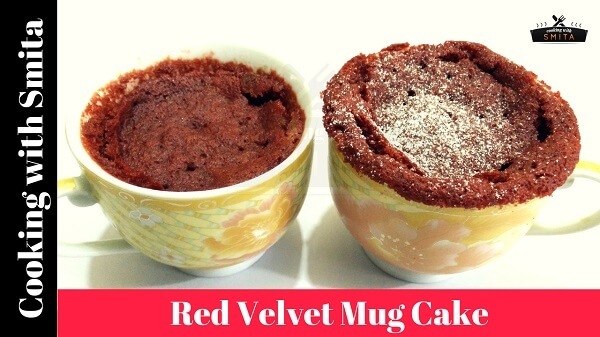 The Batter for Red Velvet Mug Cake is ready, now shift it in microwave safe mug. Bake in the microwave for 90 seconds. Take out from microwave and serve moist & delicious mug cake immediately.